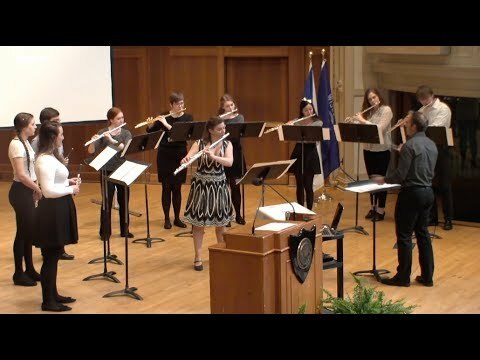 Composition student, Ilan Blanck ’17, wrote the flute ensemble a new work which we premiered in May, 2017. We learned the piece over a weekend at Björklunden and then had several rehearsals with Ilan to make changes and bring the piece to life. 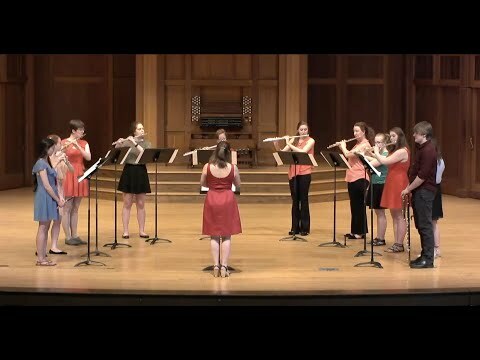 The LU Flute Ensemble was invited to perform at the Honors Convocation on May 23, 2017. They performed Diffusus by James B. Maxwell. 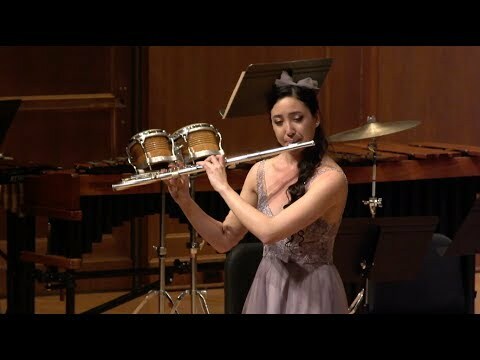 Bianca Pratte ’20 performed Jules Mouquet’s La Flûte de Pan with the Lawrence University Wind Ensemble on May 20, 2017. 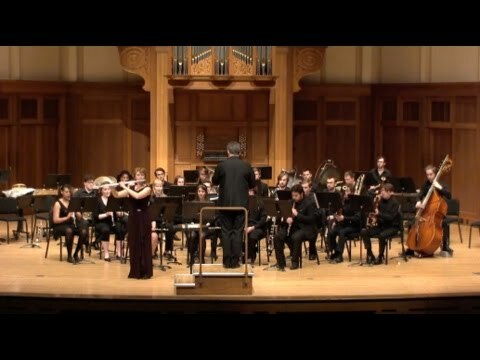 Erin Lesser performing Timothy Ferchen's Fluisce with the Lawrence University Percussion Ensemble. 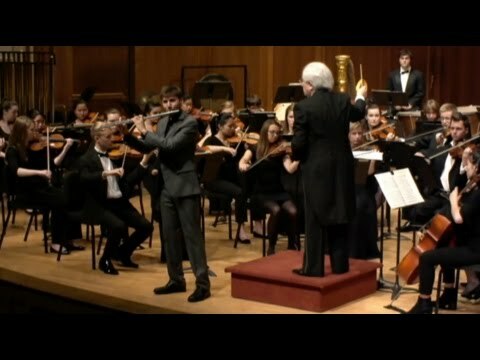 Leo Sussman '16 performed Carl Nielsen's Concerto for Flute and Orchestra with the Lawrence Symphony Orchestra on May 28, 2016. 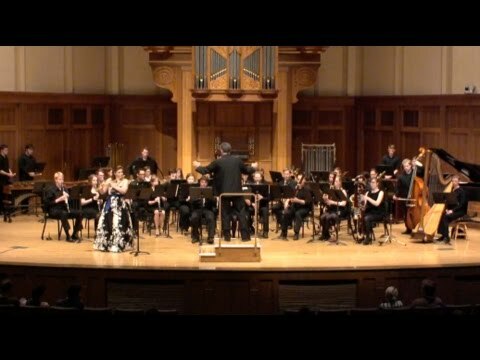 Anne Daley '16 performed Carl Reinecke's Concerto in D Major with the Lawrence University Wind Ensemble on May 21, 2016. 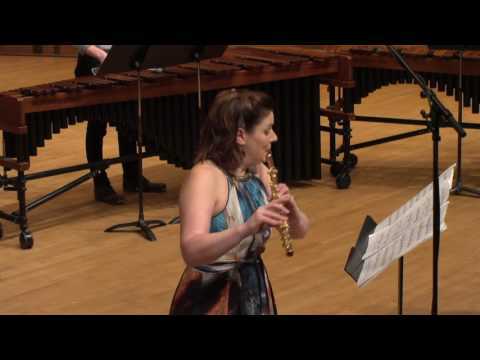 Erin Lesser performed Joel Puckett's Shadow of Sirius with the Lawrence University Wind Ensemble on May 23, 2015.